Two young people were taken to hospital with head injuries following a collision near Loxwood on Tuesday night. Police said a 14-year-old girl from Pulborough remains in a critical condition after a car collided with a taxi and then hit a tree on Plaistow Road at around 9.20pm. 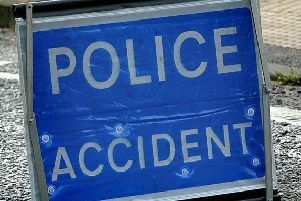 A 17-year-old girl from Billingshurst, a front seat passenger in the car, is also still in hospital, police confirmed. A spokesman for Sussex Police said: “A black Vauxhall Corsa travelling east and driven by a 17-year-old girl from Pulborough collided with a black Skoda Octavia taxi, being driven by a 59-year-old man from Plaistow, before leaving the road and hitting a tree. “A 14-year-old girl from Pulborough suffered serious head injuries and was flown by air ambulance to Southampton General Hospital, where she remains in a critical condition. Police said the collision happened on the eastern section of Plaistow Road, near Headfoldswood Farm. Anyone who saw what happened, or who noticed either vehicle being driven shortly before the crash, is asked to contact police online at: https://www.sussex.police.uk/rtcappealresponse or phone 101, quoting Operation Tufton.